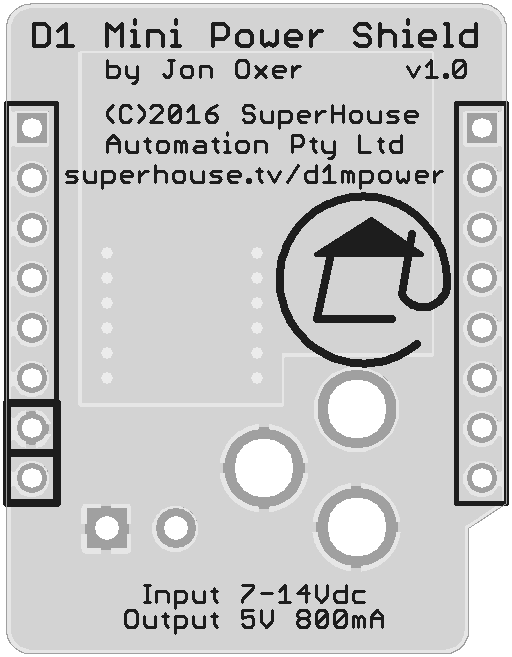 Want to be notified of new releases in SuperHouse/D1MPOWER? 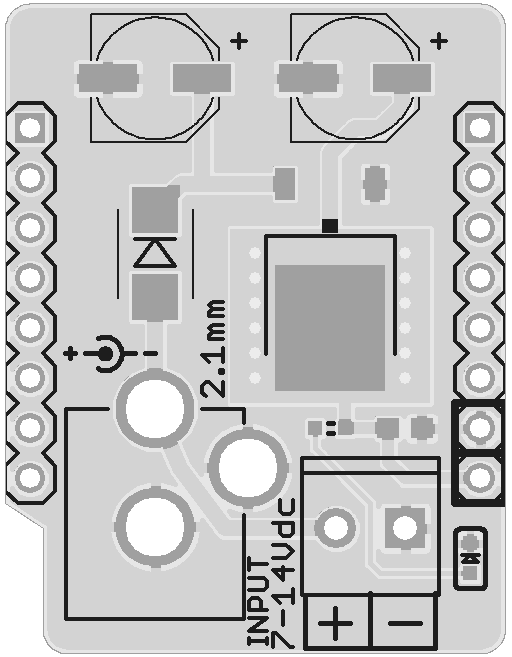 Power supply expansion shield for the WeMos D1 Mini, which is a microcontroller board based on the ESP8266 module. 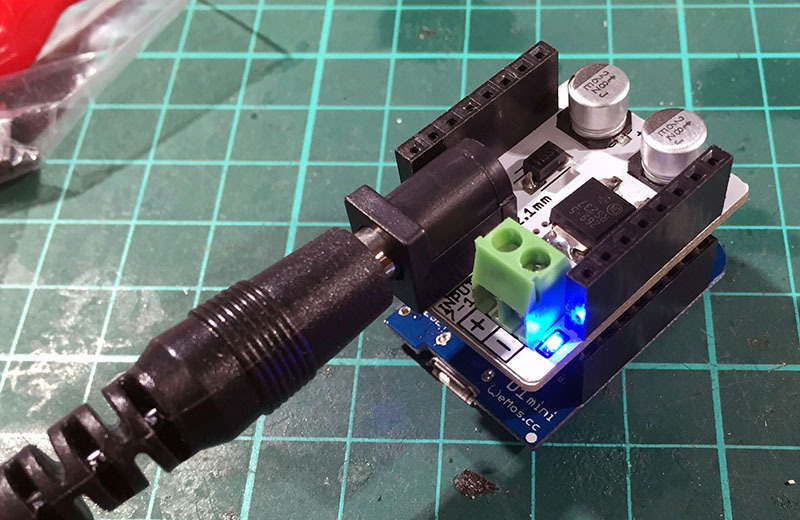 2.1mm DC jack and screw terminal connections for power input. 7-14Vdc nominal input range, 20Vdc max input. The design is saved as an EAGLE project. 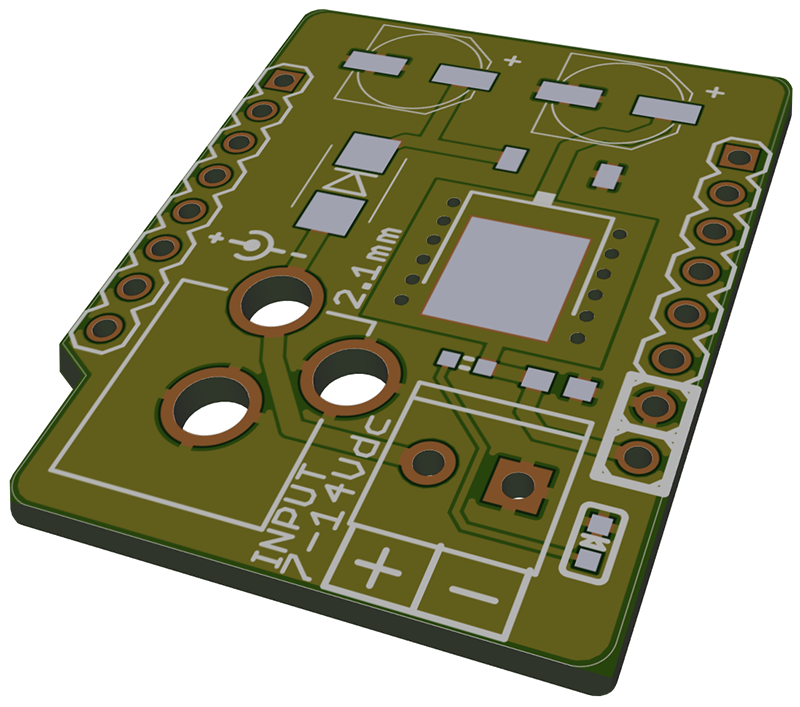 EAGLE PCB design software is available from www.cadsoftusa.com free for non-commercial use. To use this project download it and place the directory containing these files into the "eagle" directory on your computer. The specific terms of distribution of this project are governed by the license referenced below. Licensed under the TAPR Open Hardware License (www.tapr.org/OHL). The "license" folder within this repository also contains a copy of this license in plain text format.